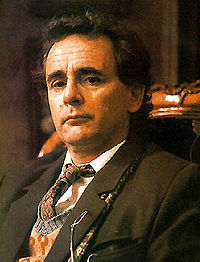 Dr. Who (Sylvester McCoy) is Bilbo Baggins after all? It was a year ago, right around Comic-Con 2009 when the rumors where swirling all over the interwebs that Doctor Who (David Tennant) was going to be cast as Bilbo Baggins. That never seemed quite right and then the actor denied it. Did the world just have the wrong Dr. Who? Screenrush says Dr. Who IS going to be cast as Bilbo but the right man is Sylvester McCoy, not Tennant, which makes a lot more sense. The story is starting to pick up steam around the web but Screenrush is way out front on this one and did the work to get an official “no comment” from an agent. McCoy, at 66, was thought to be a major contender for Bilbo in Peter Jackson’s LOTR trilogy and his casting would be a major sign that casting is skewing a little older this time around as studios feel less of a need to scramble for certain viewer demographics. Tennant never seemed right, but McCoy? Well, screenrush.co.uk could be on to something. And of course, we will check every source to try and confirm but until there is a greenlight, we suspect nothing will be official. In fact, he could be up for Thorin or another roll instead of Bilbo.